Dorm security is going to be your number one concern. Other than making your dorm room comfortable, that is. While there are going to be security guards walking throughout campus and even in your college dorm room, you want to make sure you have dorm safety dorm essentials handy should you need to protect yourself. To have peace of mind whether you're in your college dorm room or walking alone on campus at night, add our Single Use Personal Safety Quick Cuff. 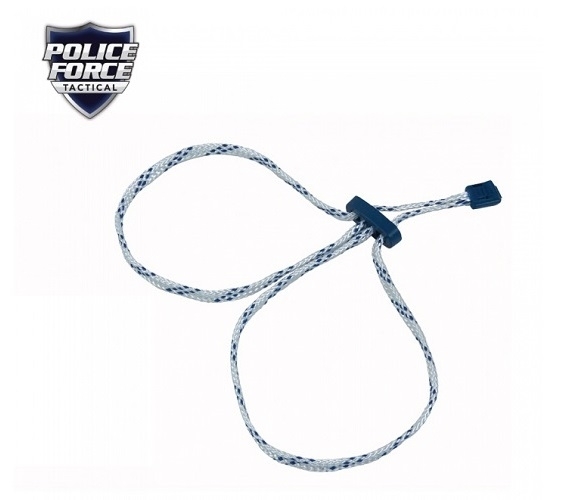 Our Single Use Personal Safety Quick Cuff is incredibly lightweight which allows it to be easily kept inside of a purse, bag, or even in your bedside caddy or dorm desk. This dorm essentials item is made of one continuous cord that forms two loops and has a tightening bar that allows you to restrain with one quick move. Our Single Use Personal Safety Quick Cuff is impossible to pull apart and needs a cutting tool to be able to break through the cord. While dorm security dorm essentials are the dorm items you hope you never have to use, it is best to be prepared in college and have dorm security items like our Single Use Personal Safety Quick Cuff.